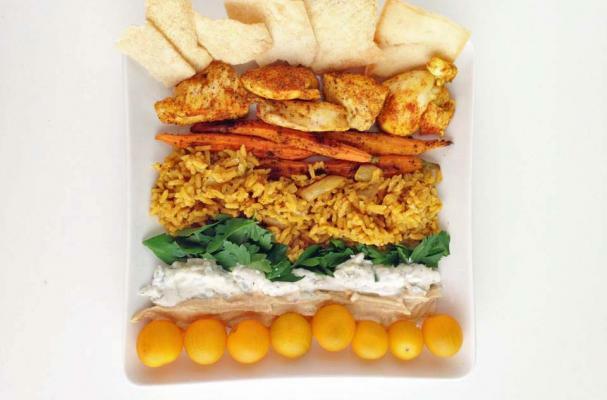 Entice your family to dinner with chicken shawarma from I Eat Therefore I Cook. Boneless skinless chicken breasts are rubbed with a handful of spices including cumin, turmeric, onion and garlic powder, and pepper. They are baked in the oven and then served in a warm pita with hummus, tomatoes, and tzatziki sauce. Garlic scented rice and roasted spiced carrots are served alongside. This meal will easily become a family favorite.